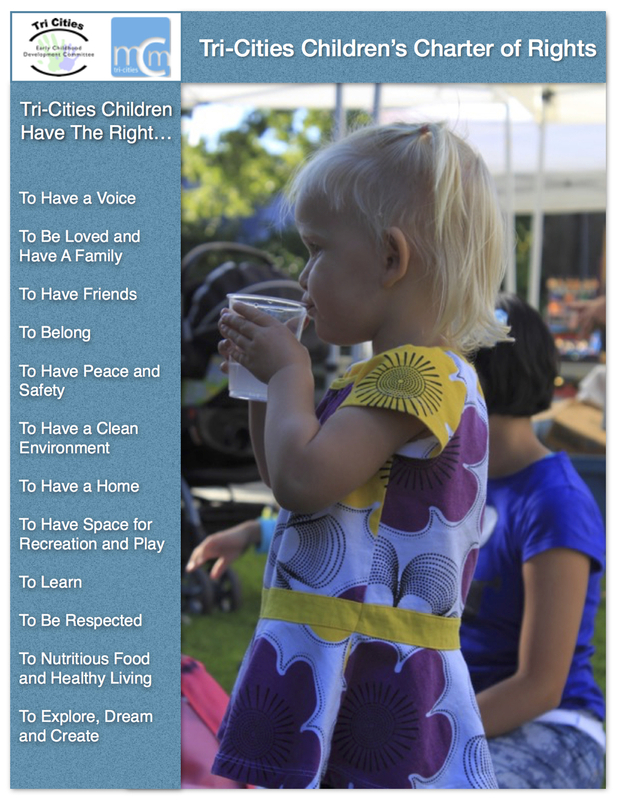 On May 21, 2015 the draft of the Tri-Cities Children's Charter of Rights was unveiled at the Tri-Cities Champions for Young Children Awards of Excellence Event. Special thanks to Mackenna Koronko and Will Feaver for all their work introducing the Charter to over 200 people that were in attendance. They did a fantastic presentation! There were hundreds of students and children from throughout the community that contributed to the creation of this Charter plus we had incredible support from all of our fantastic community partners. It's been an exciting journey so far and you can look back on it through out photo gallery. The voices of children helped to create the Charter and will continue to play an important role as we look ahead to the next steps. There will be a lot more exciting developments to come!